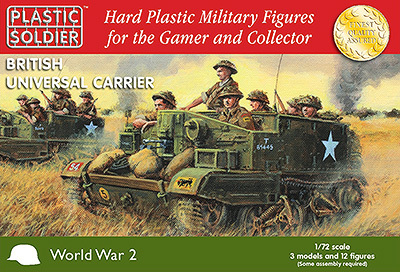 Will Townshend at the Plastic Soldier Company has just announced not only a new release, but a surprise for British WW2 gamers. 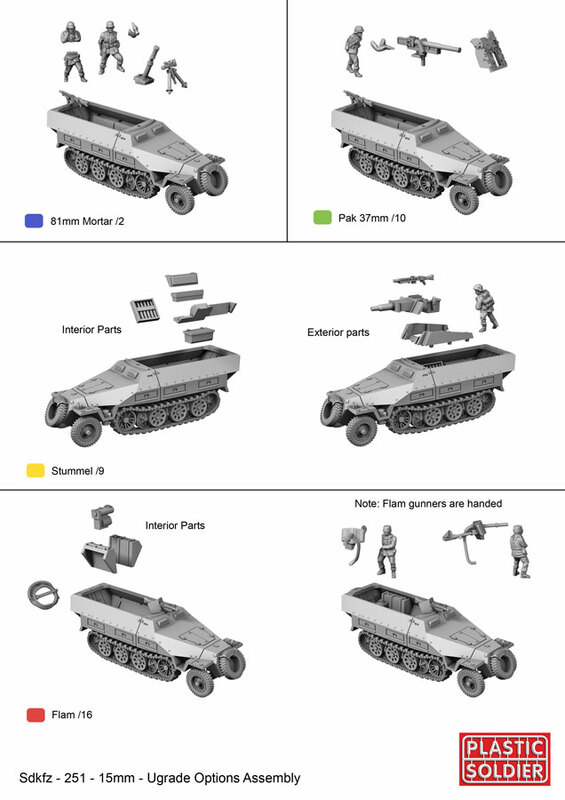 First up is the 15mm conversion kit for the SdKfz 251, which allows gamers to convert the existing 251D kit from the PSC into 4 different variants – 251/8 (Mortar), 251/9 (Stummel), 251/10 (Platoon Command) and 251/16 (Flamm). This kit only works for the 251D kit – there is news that a 251C conversion kit will be along next year. Following on from the 251D conversion kit, the surprise release is that of a 1/72nd (20mm) scale British Universal Carrier. This kit has come out-of-the-blue, and is a welcome addition to the 20mm British forces. 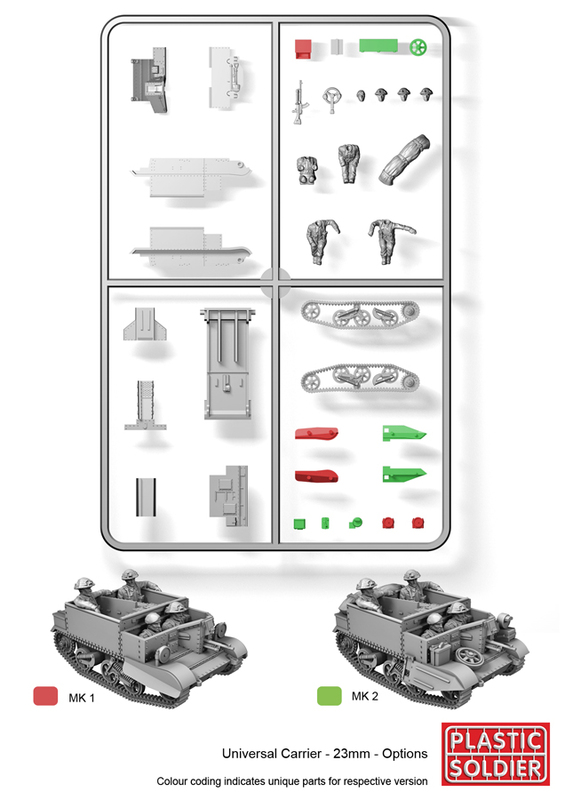 The kit comes with the option of building either the MkI or MkII carrier. 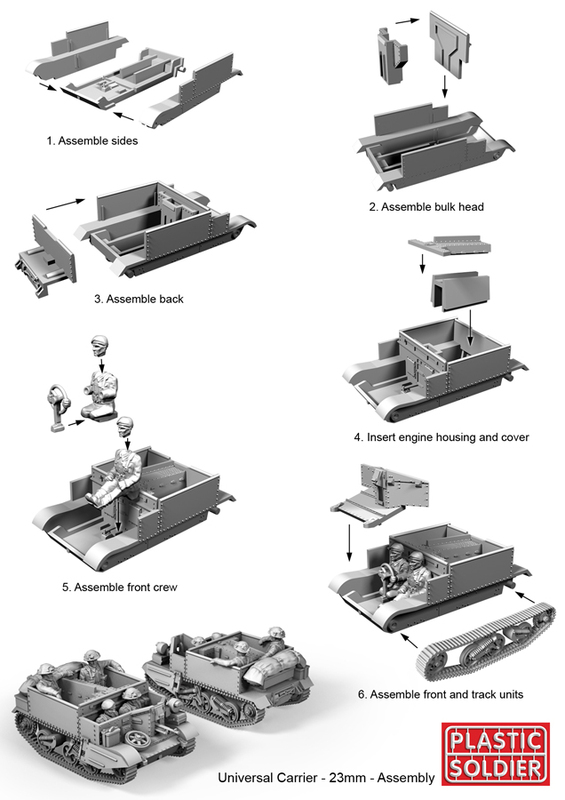 A future release, promised for the autumn, will feature a conversion kit to build the Machine Gun, Mortar, Armoured Observation Post, Wasp flamethrower and early Bren/Scout carriers, as well as more crew figures in desert uniforms with head options for early tin helmet, Aussie slouch hat and Sikh turban and further stowage. I caught up with Will last week and recorded an interview with him – I’m hoping to get this published sometime over the coming weekend. I also have a host of PSC new releases waiting for video review – these will start appearing throughout the month of July. 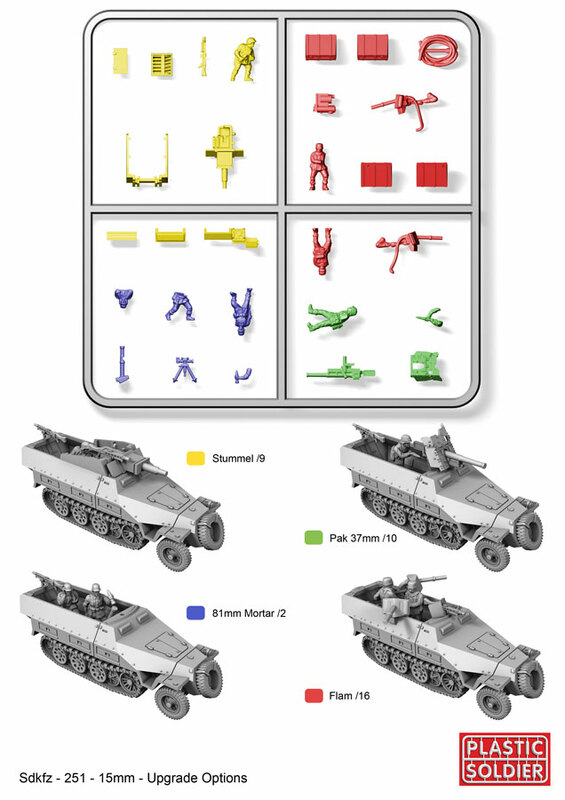 My preference is towards the 15mm for Flames of War and 28 mm for skirmishing. Indeed – I immediately reached for my copy of ‘Battle for Liberation’ for IABSM to see what I needed for a Panzer Grenadier Company…answer, lots!